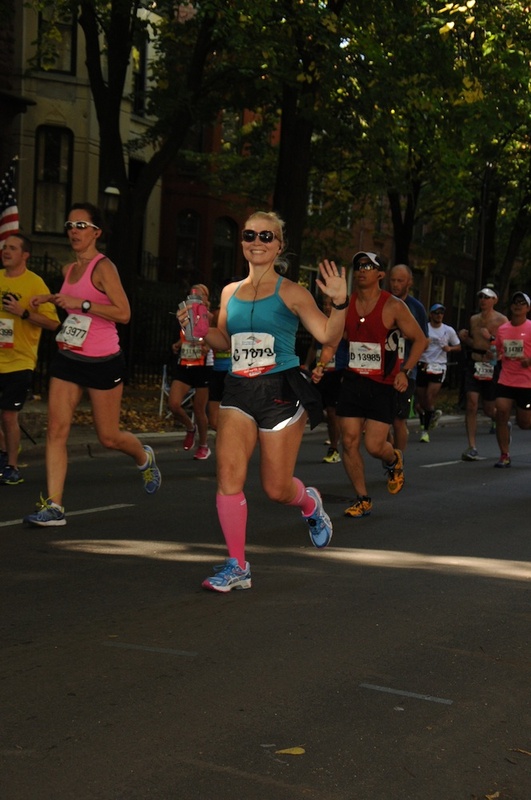 To many in the running community, Tracey Gessner is a familiar face at local races. A co-founder of Fit Milwaukee and owner of Power Up Fitness, training and racing are priorities in her life. Read on to learn how she got started (it wasn’t until she was nearly 30! ), her goals for the upcoming year and all the wonderful things she’s gained through running. Favorite Workout: Right now? Yasso 800s. I rocked this workout all summer leading up to my fall marathon PR. 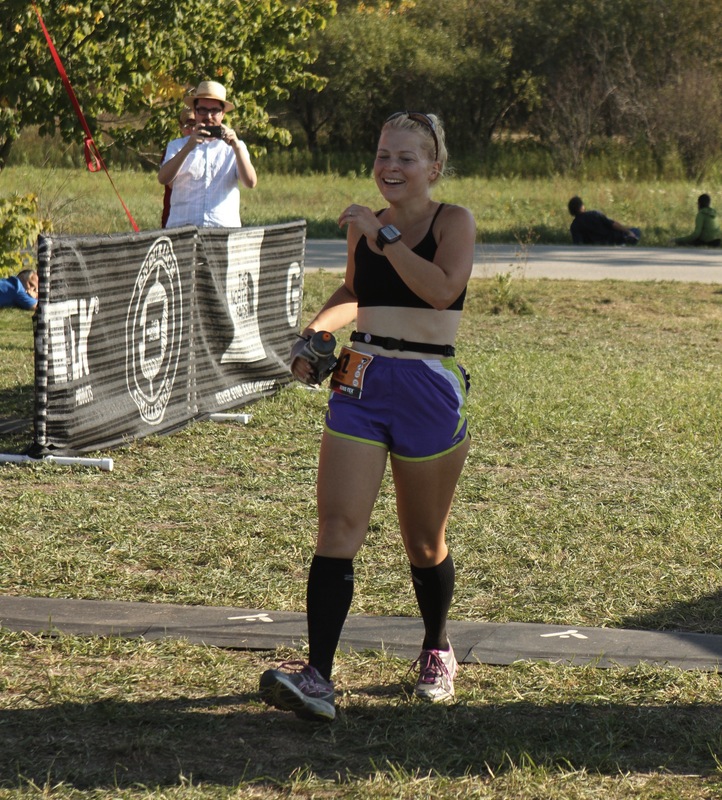 Favorite Distance to Race: If I’m running all out – the half marathon. I also really enjoy the 50K distance but I’ve never “raced” it. Favorite Song to Get Pumped Up: It changes a lot, but this season it was all about the “Roar” for me. Hands down. Although I did listen to Eminem’s “Lose Yourself” a lot while preparing for Chicago Marathon and that got me going as well. Favorite Post-Race Treat: Chocolate milk. Salt & vinegar chips. Beer. You know, the three major food groups. Must-Have Gear: It’s probably cliché but I live by my Garmin. It’s helped me hit so many of my goals. I started running the summer before my 30th birthday. My daughters were becoming more independent and I wanted to get in better shape with some of my newfound free time. I joined a gym and was super jealous of everyone I saw running on the treadmill – I could barely jog for a minute! I decided running was the thing I would conquer and began walk/running on the treadmill as well as around the park in my neighborhood. 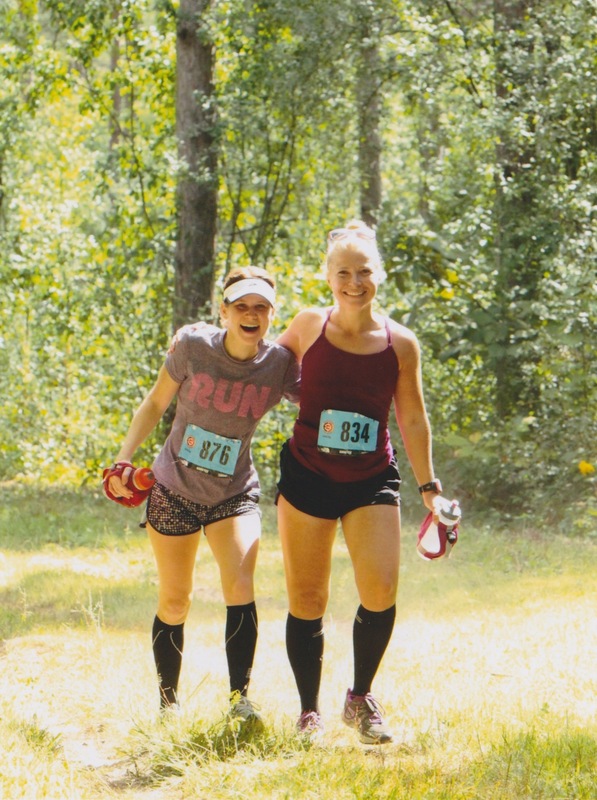 The following year I ran my first 5K and when I crossed the finish line I remember thinking, “I could probably run twice as far.” It kind of spiraled from there. I’m selfish about running. It’s something that’s just for me. Whether it’s 30 minutes on the treadmill or 3 hours on the trails, it’s time I get to focus on myself. I love pushing my body and seeing how far or how fast I can go. On the flip side I also love zoning out and letting my mind wander while my feet move as if on autopilot. My love of running caught me by surprise in the beginning, but it has since brought me a huge sense of accomplishment. It also has brought the most fantastic people in to my life – people I never would have met if I hadn’t started putting one foot in front of the other. What’s your typical training week? I usually run 5 days a week, which includes a speed workout, a mid-distance tempo run and a long, easy run. I also strength train twice a week (usually paired with a shorter distance run) when I’m not at peak mileage for a marathon or ultra. If I’m logging more than 35-40 miles a week, though, I tend to drop down to one day of strength training. I also occasionally take dance classes! Usually modern/contemporary but lately I’ve been taking African dance. If I had more time and energy I would do yoga but right now I can’t seem to fit it in. I enjoy Ashtanga and Bikram. How do you keep fit for racing everything from 5Ks to ultras? Honestly, I wouldn’t recommend that everyone train the way I do. Usually the way to get better at a particular distance is to train specifically for that, and only that. But I really do enjoy everything from 5K to 50 milers! I suppose it keeps me from getting bored. Sometimes I wonder how fast I could be if I dedicated all my training to bringing down my 5K time, although I know I’d miss marathon training too much, so for now I do a little bit of everything. I do think my dedication to strength training plays a big factor in staying fit for multiple distances. I also take (at least) one full day of complete rest each week. I call Sunday my “blerch” day. It gives me a chance to recover from my long run and get psyched up for the upcoming week. I spend a lot of time reading running blogs and perusing race websites on Sunday nights. Congrats on your PR at the Chicago Marathon – We’re amazed by how accurately you predicted your finishing time for the race! 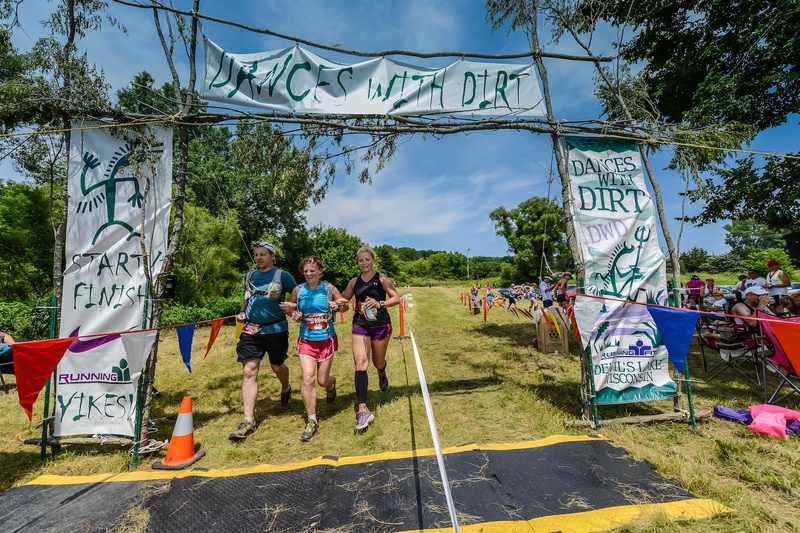 Can you tell us a little bit about your training leading up to your race? I really wanted to redeem myself in Chicago. I had tried to run a sub-3:55 marathon two years in a row at the Rockford Marathon in Illinois but 80+ degree temperatures knocked me out at mile 16 both times. While in my planning stage this time around I read a lot about the Yasso 800 workout and how it’s a good predictor of your marathon time (assuming you also put in the weekly long run mileage). Basically, if I wanted to run a 3:50 marathon, I had to train to run ten 800 meter repeats at 3 minutes, 50 seconds each. At the beginning I started out with five 800s and added another repeat each week until I got up to the magic number 10. I did that 10 Yasso 800 workout twice – the last time was three weeks before Chicago. What did I run on race day? 3:50:06. I realize that there were a lot of other factors that were different on this race day as well so I’m not putting all my eggs in the Yasso basket. However, I’m definitely keeping this workout in my arsenal. Did running play a role in your decision to become a certified personal trainer? Running was definitely the first step since it gave me a lot of confidence. The second step was working out with my own trainer, who encouraged me to get certified. Those experiences, combined with my prior dance training, all made me think that I might have something interesting to offer. Can you tell us a bit about Power Up Fitness? I started Power Up Fitness last January as an experiment for me as a trainer. I began by teaching some bootcamp classes around town and acquired a few personal training clients through friends. Up until last week I was teaching early morning bootcamps just north of South Shore Park in Bay View. It finally got too cold for us at 5:45AM! Right now I’m in a mini-hiatus as I explore my options for the upcoming year, although I am still available for private in-home sessions. The strength and conditioning workouts I design usually involve things like kettlebells, medicine balls, plyometrics and agility drills. I like to mix things up and keep it fun while working hard. My website is powerupmke.com if you’re interested in what I have up my sleeve. Recently I’ve become a big fan of the Rock ‘n Sole Half Marathon. Everyone thinks it’s difficult because the course goes over the Hoan Bridge at the beginning, but honestly the bridge is over fast and then it’s smooth sailing the rest of the way. I’ve had some of my best half marathon times there. I also love the races that Longrun Athletics puts on: Race for the Bacon, the Icebreaker Indoor Marathon, etc. They are well organized and are still on the smaller side so it feels like fun party whenever I run one of them. And of course, I love Lakefront Marathon. I ran my first 26.2 there and I’m planning on returning to it again next year! Oh geez. I’ve kind of thrown down the gauntlet in the past few months. After nailing that 3:50 in Chicago, I’ve already got my eye on a 3:45 in the spring. Then, after that – maybe a BQ? I never thought that would ever be in the realm of possibility for me. EVER. And now it is. Crazy. I’m also hoping to chip away at my half marathon PR in the process (1:44). I’d absolutely love to lower my 5K time, if I could. Right now it’s a 21:57 but I haven’t even gotten close to that lately. So many goals! Also, if you haven’t already, check out enter our Around the World 5k race entry giveaway! There are still a few days left to enter. Best of luck! This entry was posted in MKE Runners and tagged MKE Runners, PowerUp Fitness, Running in MKE, Tracey Gessner. Bookmark the permalink. ← Around the World 5k Race Preview + A Giveaway!